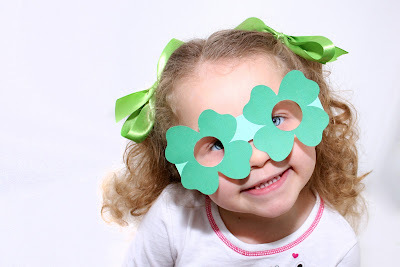 The Everyday Posh: May the Luck of the Irish be with You! Decided to have some fun for St. Patrick's Day! Once again, where I grew up St. Patrick's Day was quite the big deal. Don't be caught without at least a little bit of green on you or you would be surely pinched!! 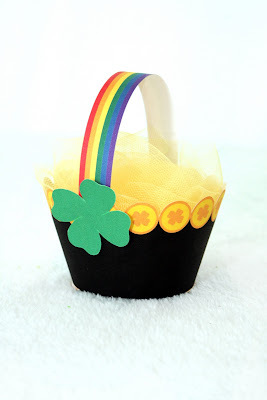 I have added the Pot-O-Gold basket to my Etsy Shop. 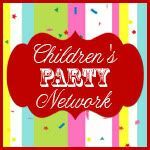 This was a fun little project that I think will be fun for all of the parties over the next few days! Also, I have added a new FREE printable to my Fun Projects section of my website! 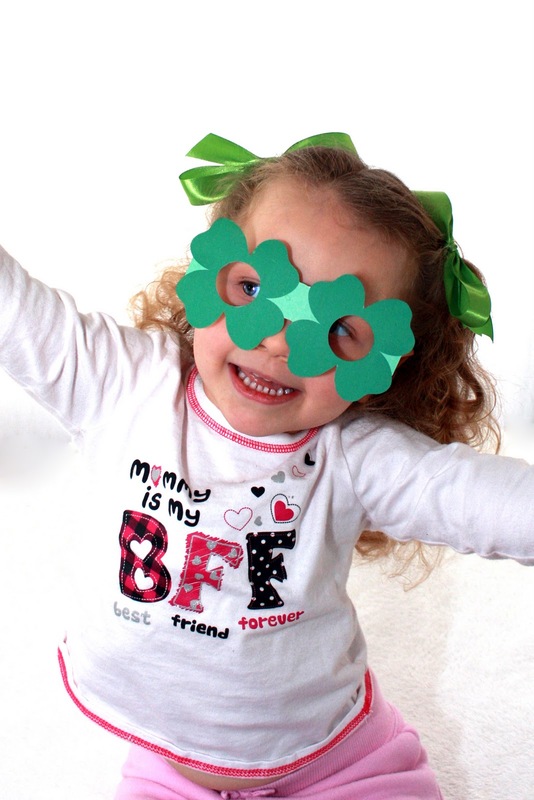 Four Leaf Clover Glasses!! Haha! We have had so much fun with them. We were at the store and my daughter pointed a pair out. "Can I get one pleeaase? ", "No sweetie." "Can we make some pleeaasee?" LOL, what can I say, she really knows me! Granted she also called the greeter at the front door a pirate due to having an eye patch...oy! 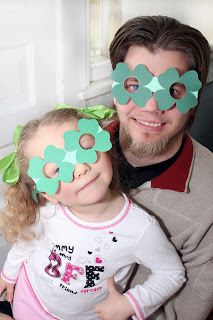 These crafts are super cute! Thanks for the ideas! Your blog is beautiful. Aw! Thank you so much!! Happy St. Patty's Day! I write and maintain a spiritual blog which I have titled “AccordingtotheBook” and I’d like to invite you to follow it.